What did we celebrate in 2013 in Africa? There was a lot to celebrate in Africa in 2013. Here are some of those things. 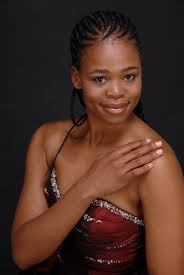 – In January, South African opera singer, Pretty Yende, was the first African to perform at the Metropolitan Opera House in New York City. You can watch her interview on BBC. 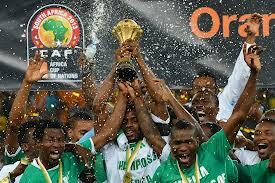 – On February 10, Nigeria’s Super Eagles won this year’s African Cup of Nations. Stephen Keshi’s team made us all proud. 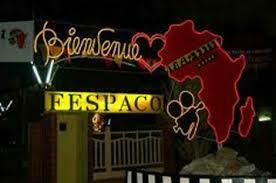 – In March, FESPACO 2013 was a success and featured movies and documentaries from across the continent. – On March 14, Uhuru Kenyatta won Kenya’s presidential elections. These elections were the people’s choice, and Uhuru Kenyatta defeated the ‘machine’-chose guy Raila Odinga (Obama’s cousin); a very good example of democracy by Africans for Africans. – In April, Cecile Kyenge became the first Black minister nominated in Italy. Dr. Kyenge is originally from the Democratic Republic of Congo. – On 31 July, Zimbabwe general and presidential elections went peacefully with the full re-election of Robert Mugabe. – In August, 12 political figures from Laurent Gbagbo‘s FPI were released in Côte d’Ivoire. Among them was Pascal Affi N’Guessan, previous prime minister of Gbagbo, who was unjustly detained without hearing for 2 years. – NoViolet Bulawayo was the first black African woman and Zimbabwean author to be shortlisted for the prestigious Man Booker Prize for her novel We need new names. 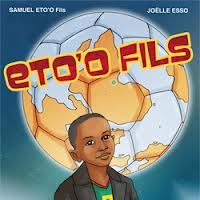 – In September, Samuel Eto’o Fils (Cameroonian and one of Africa’s best soccer forward) came out with an autobiographic comic book. Birth of a Champion is the first comic book on an African football player, and will hopefully inspire many youths around the globe. – In November, Cameroonian author Léonora Miano won the 2013 Feminina Prize for her novel La Saison de l’Ombre, which talks about slavery from those who lived after seeing their relatives captured. 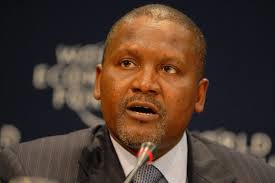 – Nigerian billionaire Aliko Dangote, Africa’s richest man, vowed to build the largest privately owned refinery in Nigeria, which produces more oil than any other African country but must import most of the motor fuel and diesel it uses because existing refineries are dilapidated and inefficient. – This year also saw two African women cross the billionaire bar: Isabel Dos Santos of Angola, and Folorunsho Alakija of Nigeria. 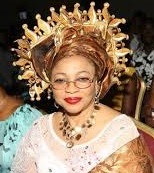 Alakija is actually the richest black woman billionaire ahead of Oprah. – Five (5) African nations won their tickets to the World cup in Brazil 2014. The 5 countries are: Algeria, Cameroon, Cote d’Ivoire, Ghana, and Nigeria. « Who/ What did we say goodbye to in Africa in 2013? Whoa! This blog lоoks exactly like my old one! It’s on a completely different topic but it has pretty much the same page layout and design. Excellent choice of colors!